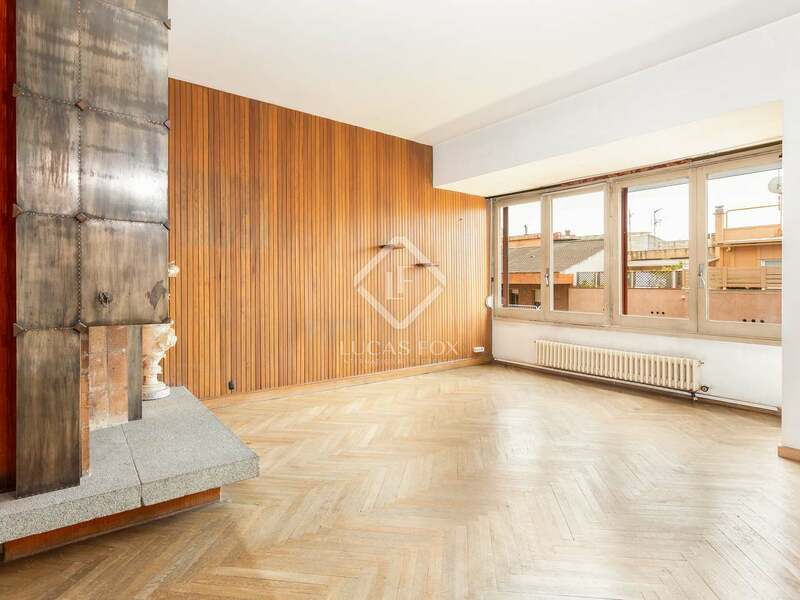 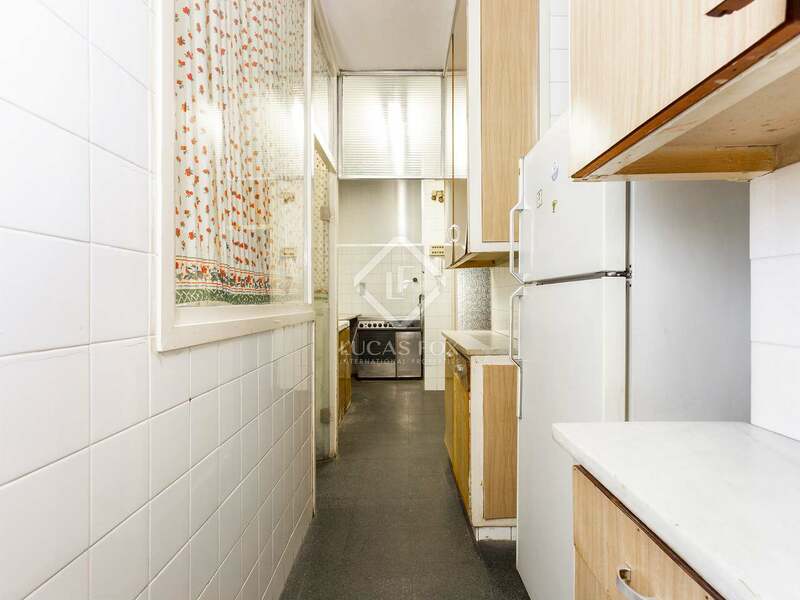 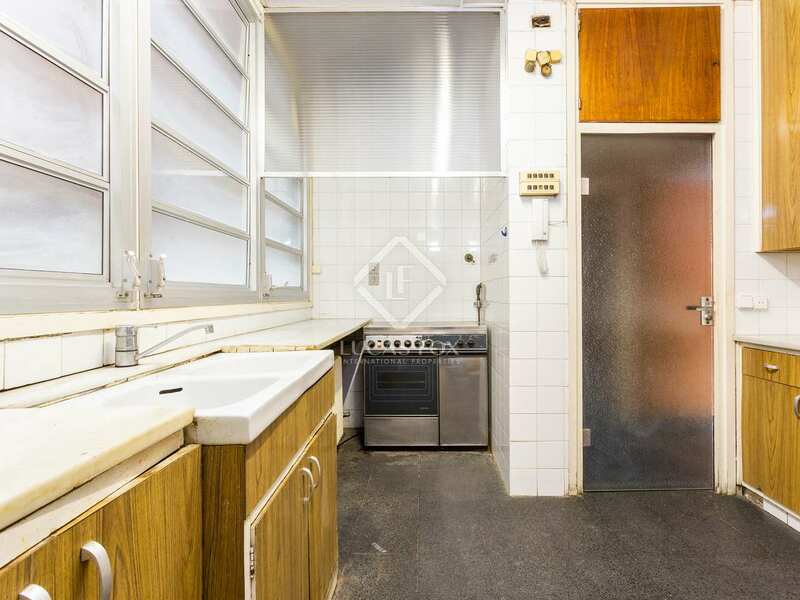 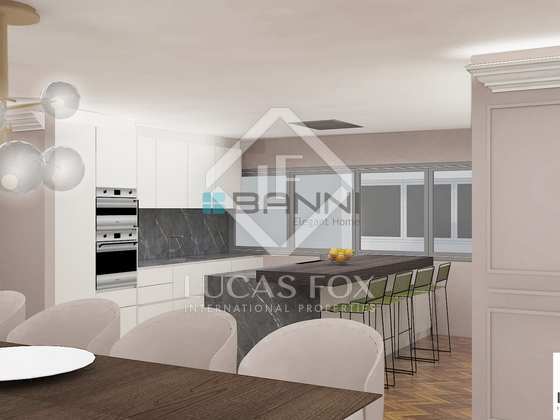 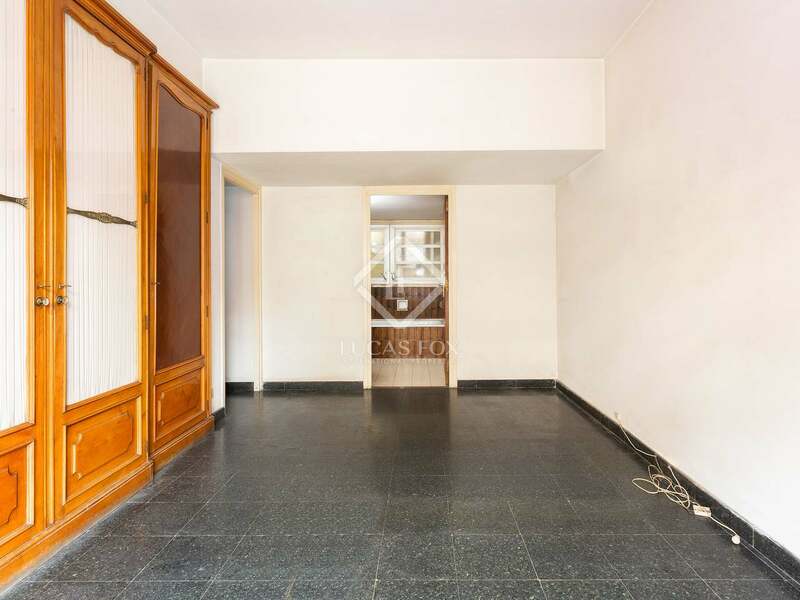 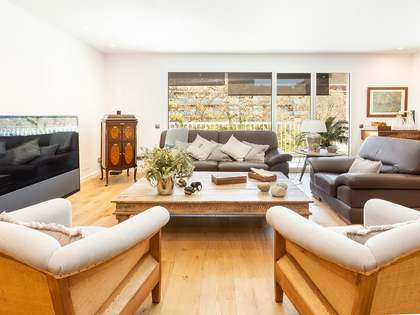 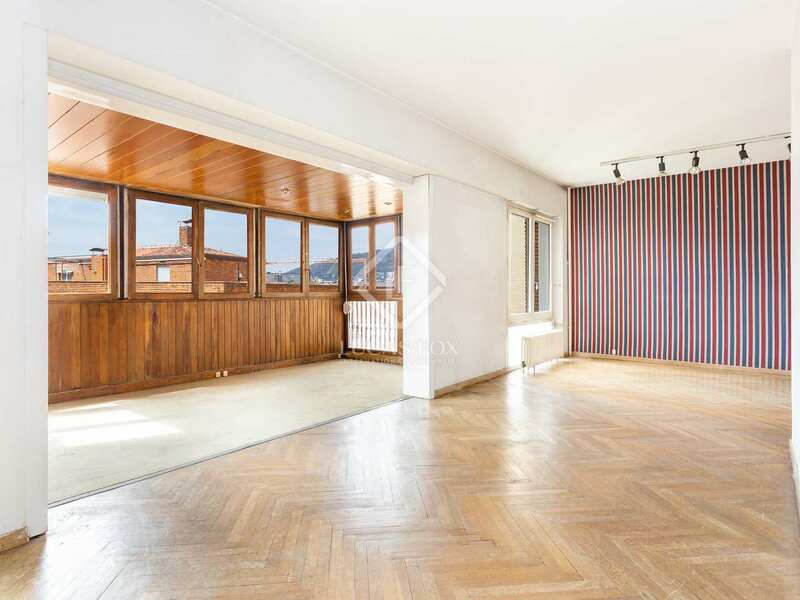 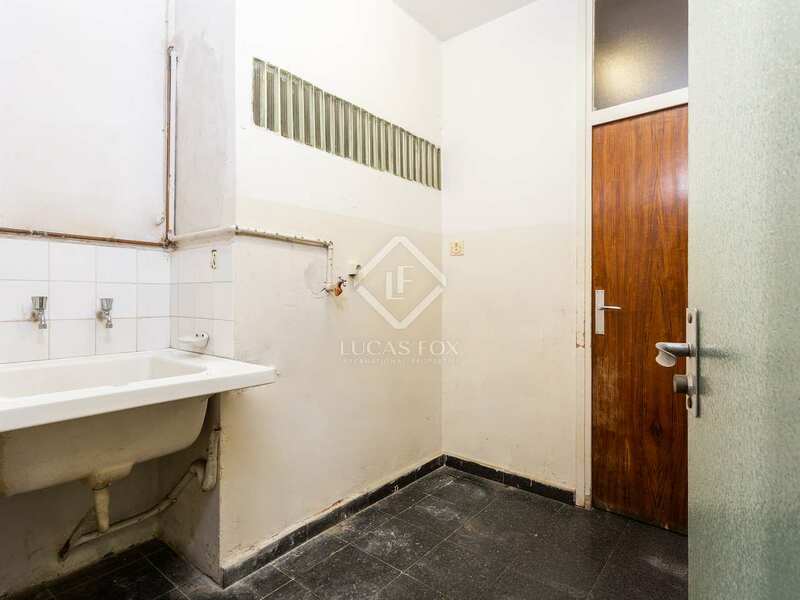 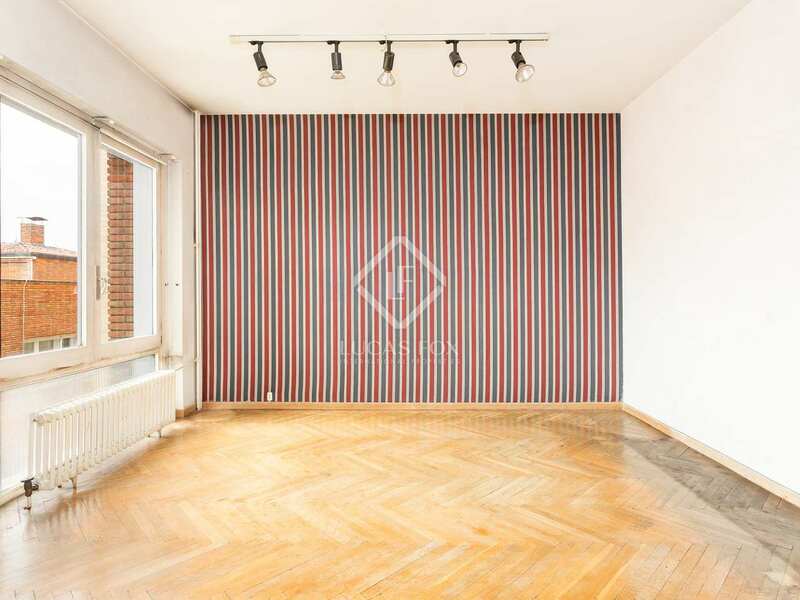 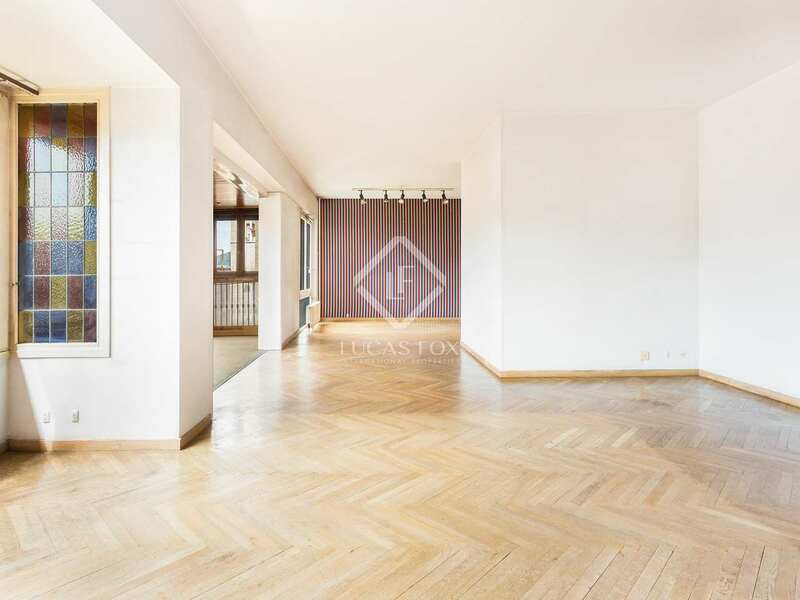 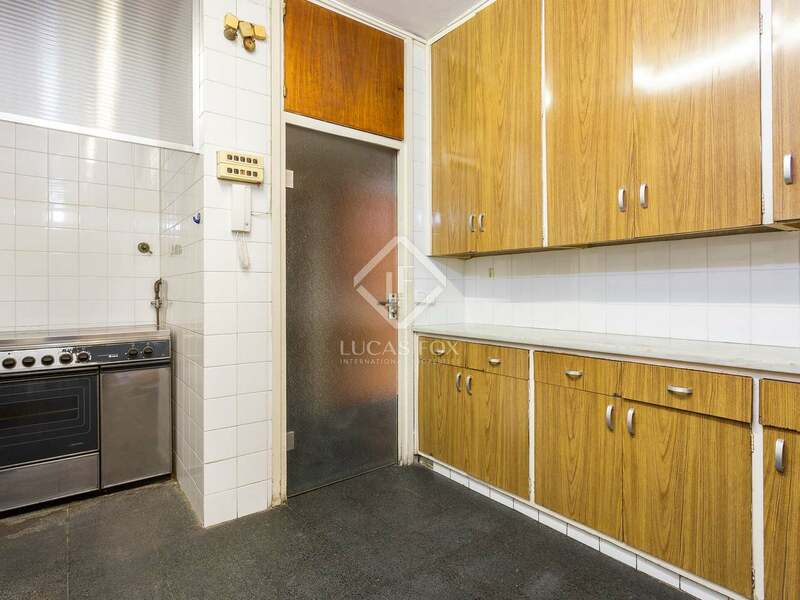 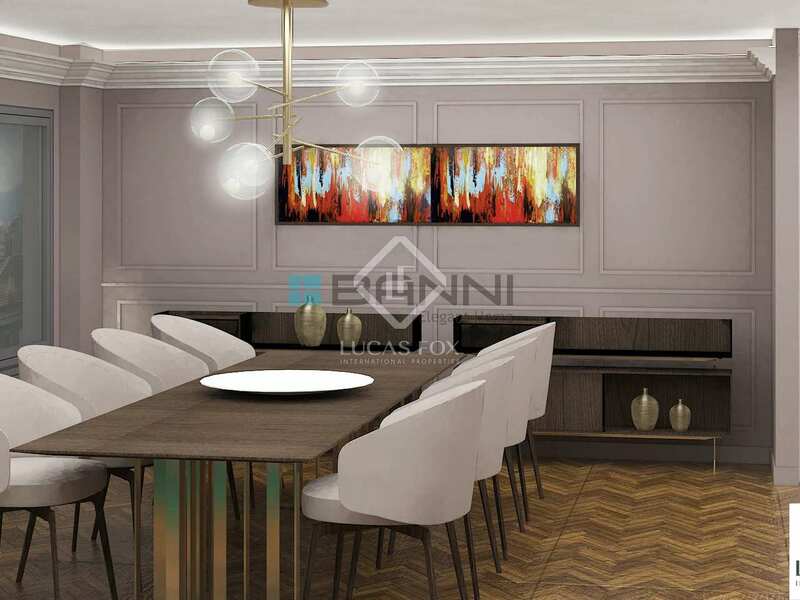 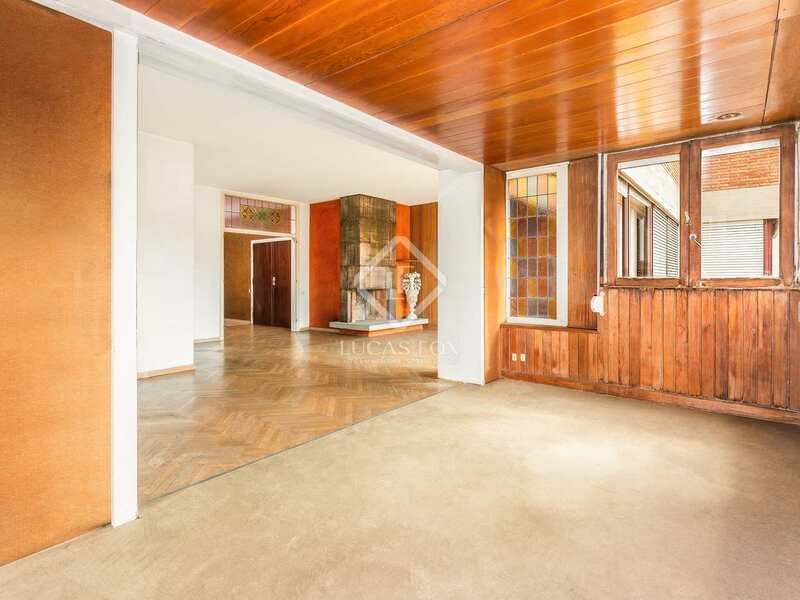 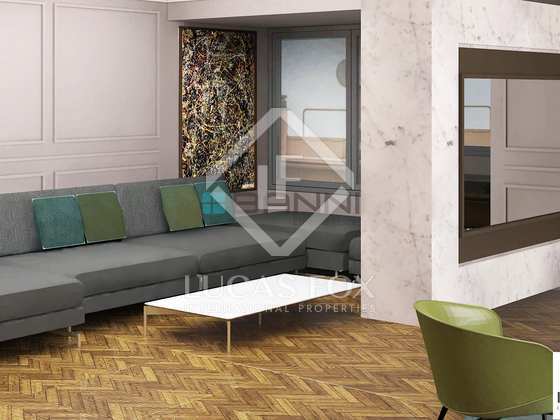 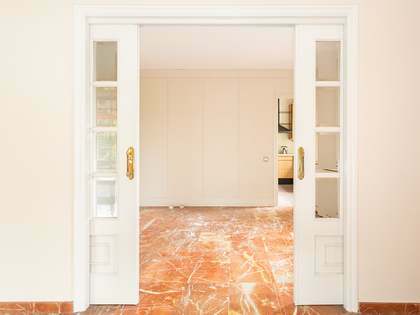 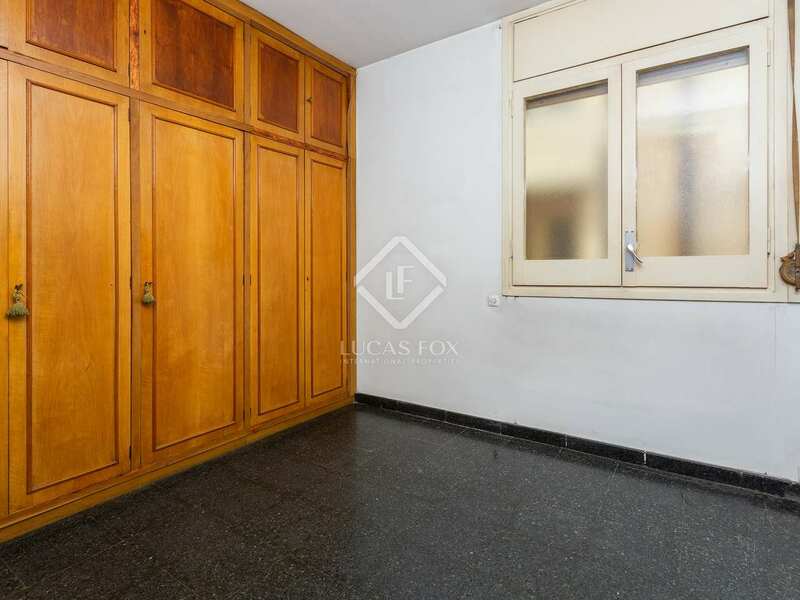 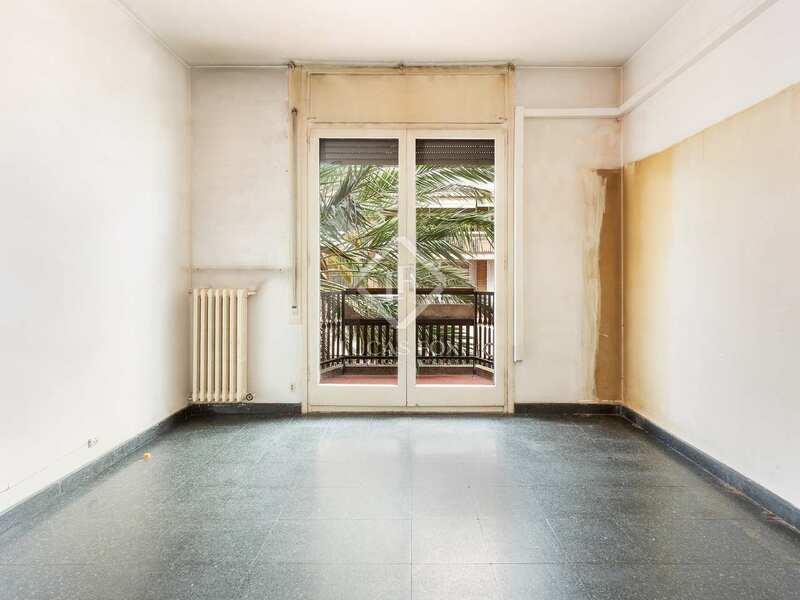 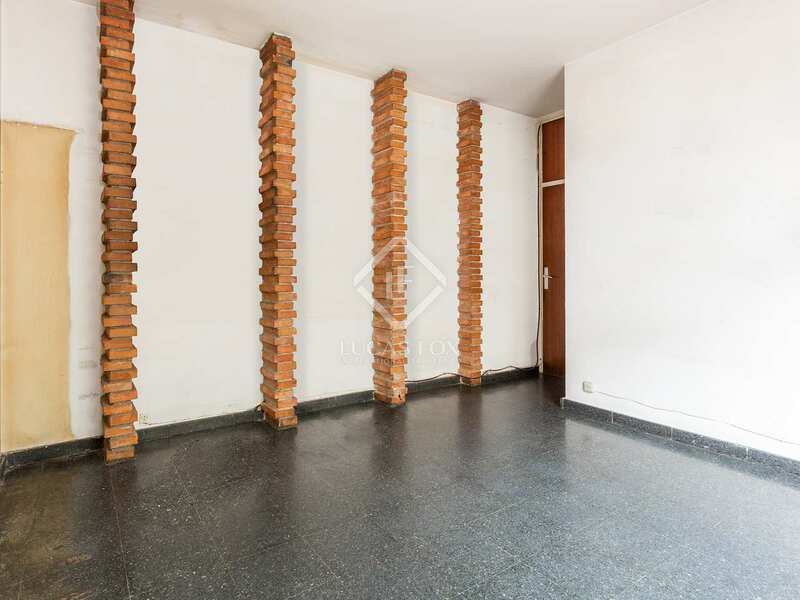 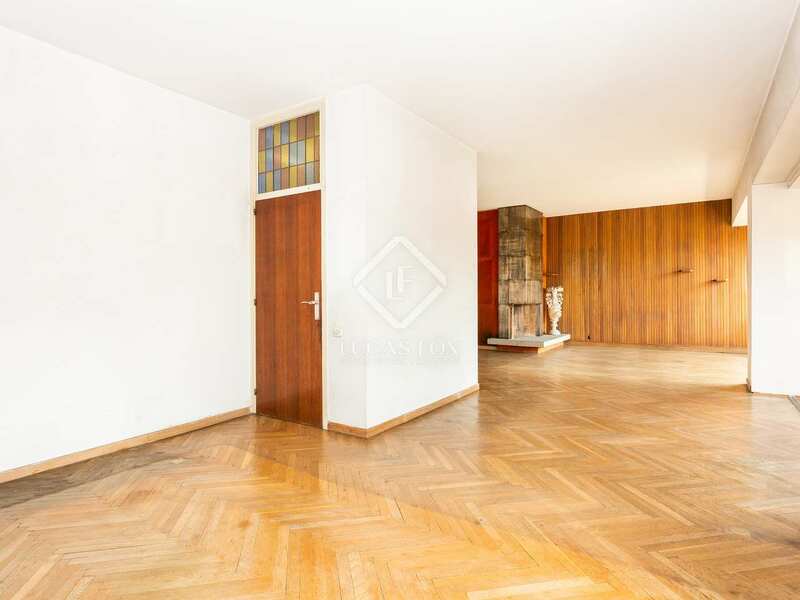 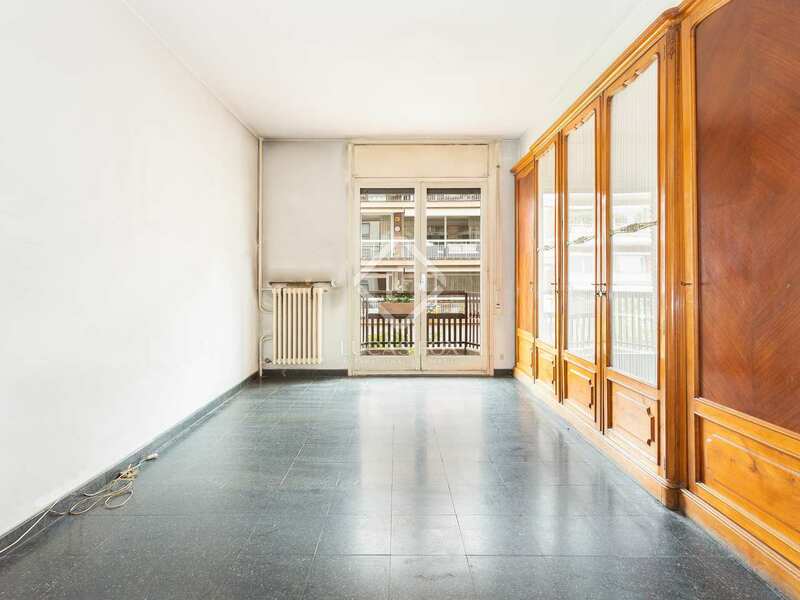 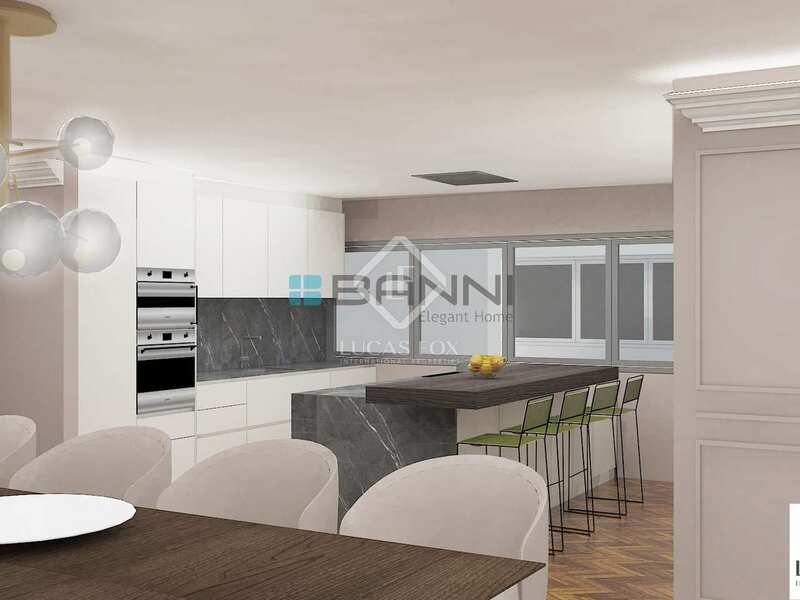 Very spacious, bright apartment to renovate completely, located on the peaceful Carrer Freixa, in the Tres Torres neighbourhood, a leafy residential area next to Via Augusta, Turó Park. 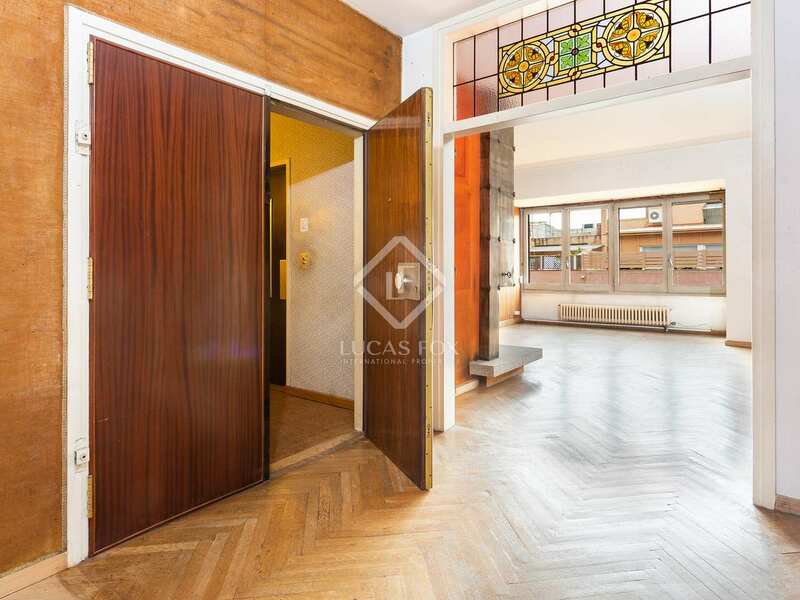 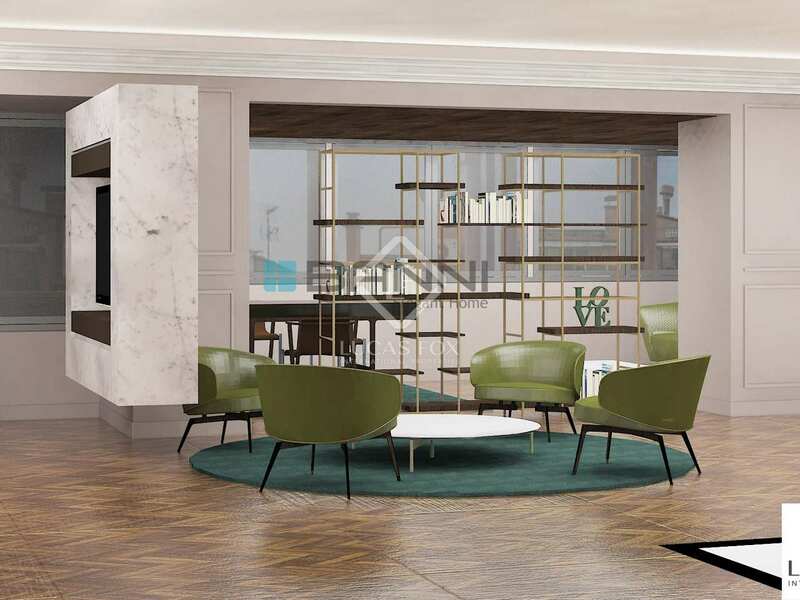 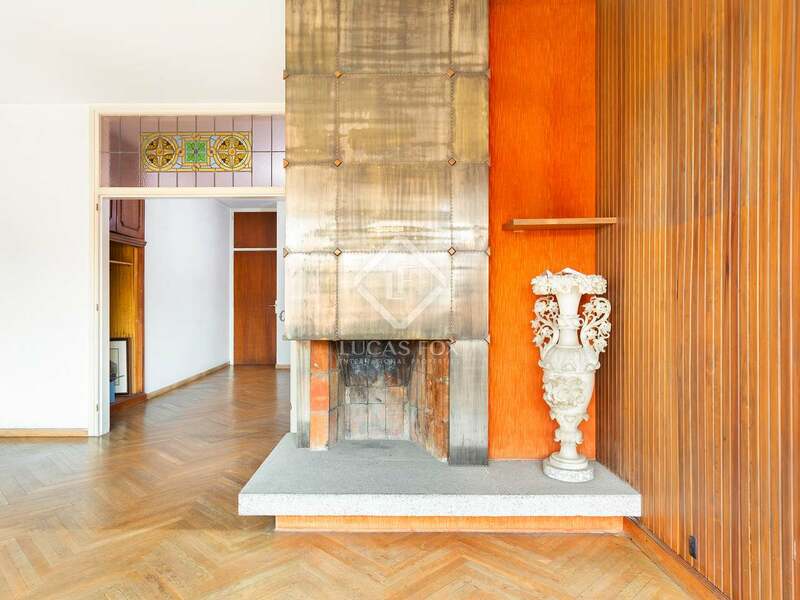 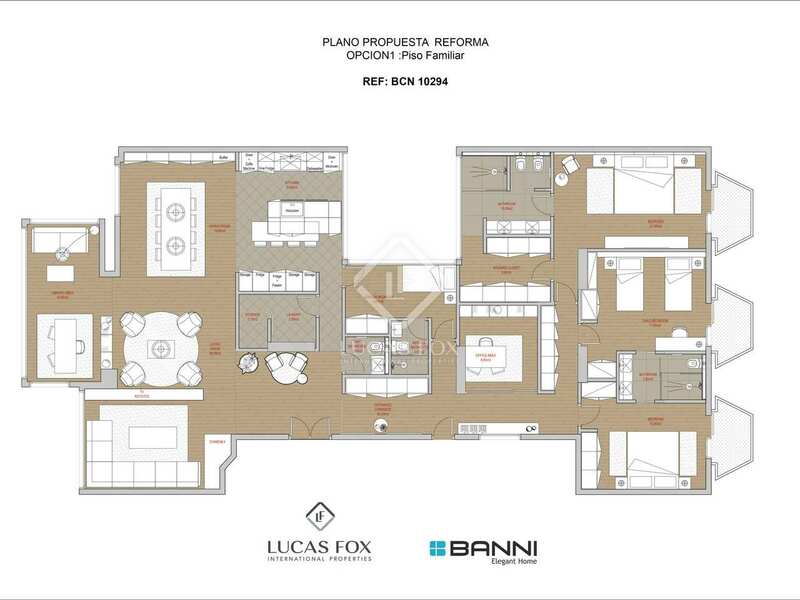 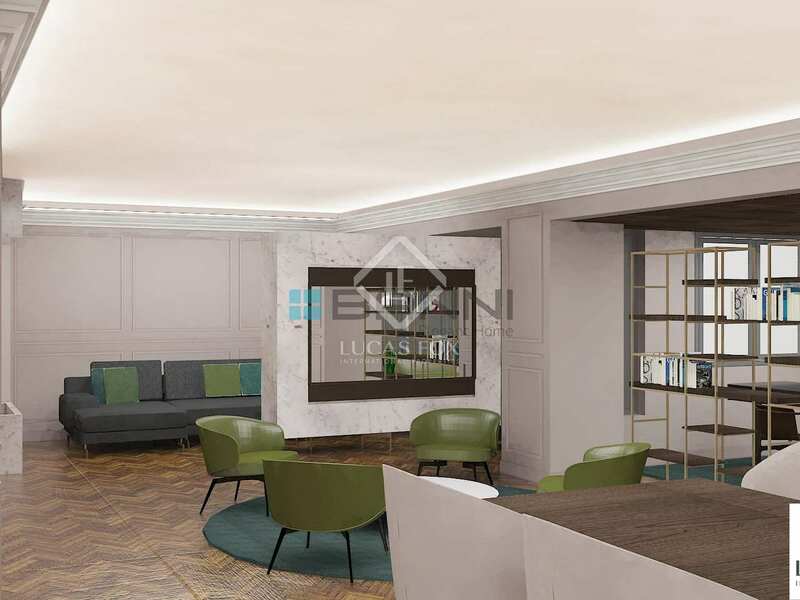 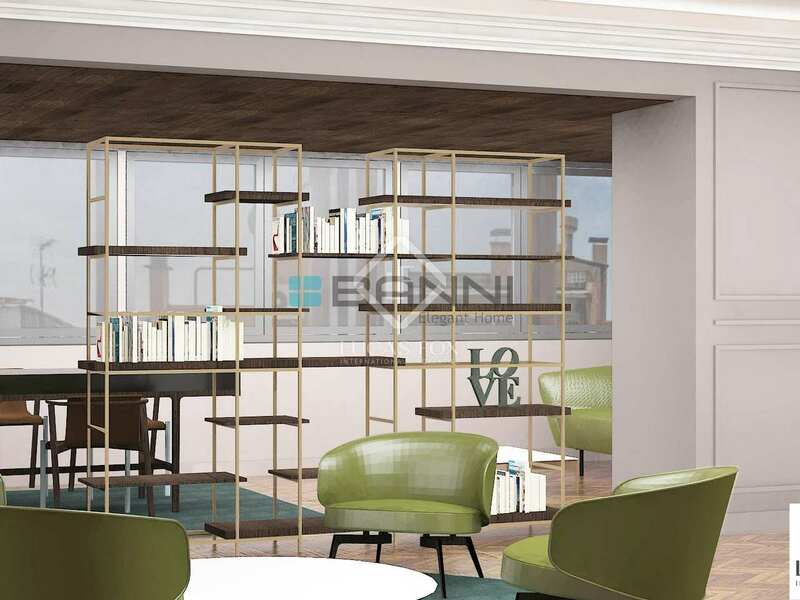 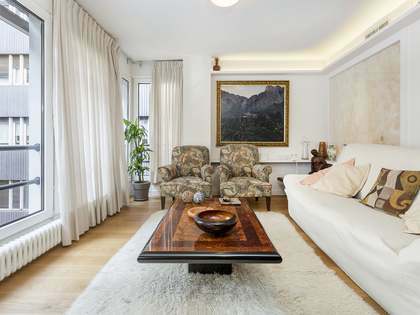 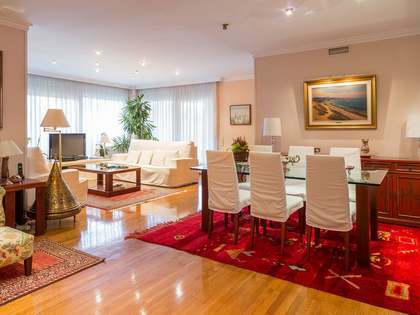 This large property is located in a building built in 1964 and designed by the architect Oriol Bohigas, with a concierge service and a communal area as well as a separate service entrance. 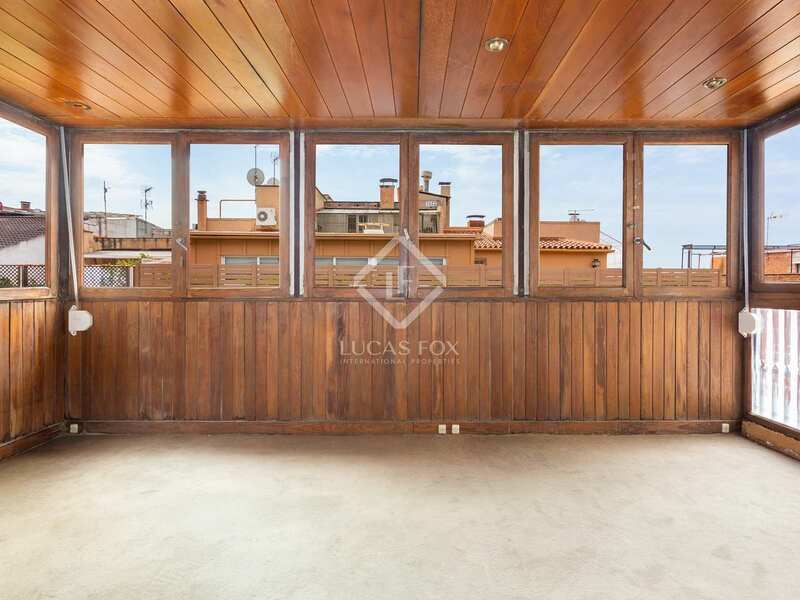 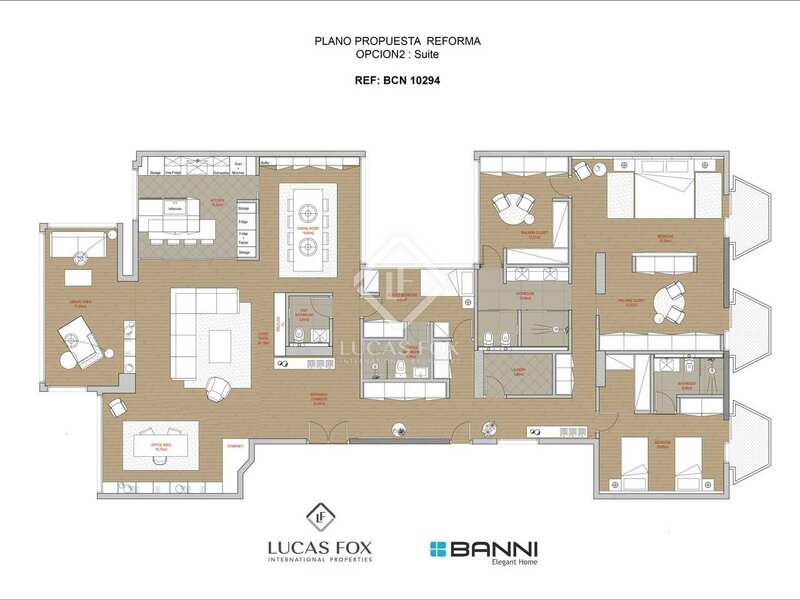 The apartment has 6 bedrooms, including 3 very large double bedrooms with access to a balcony each, 1 overlooking the block patio, 1 small interior room and 1 service bedroom with a bathroom. 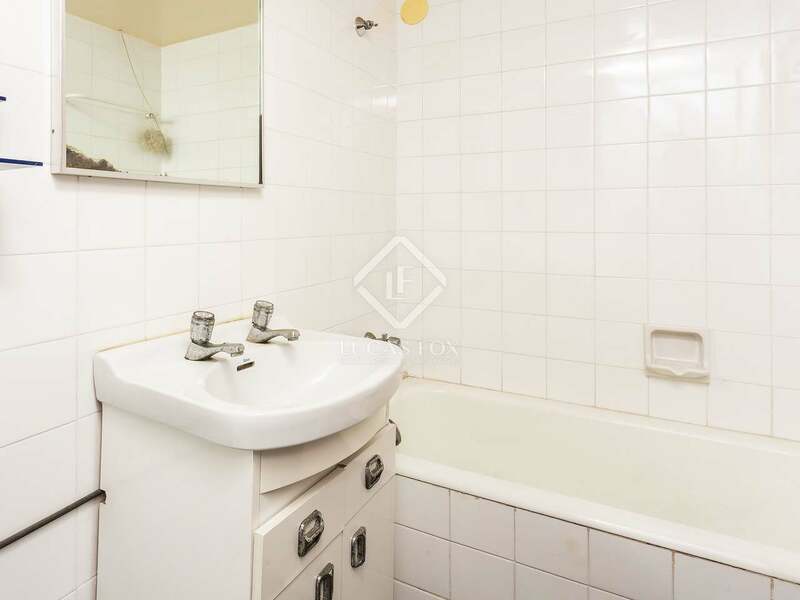 The main bedroom is particularly spacious and has its own ensuite bathroom. 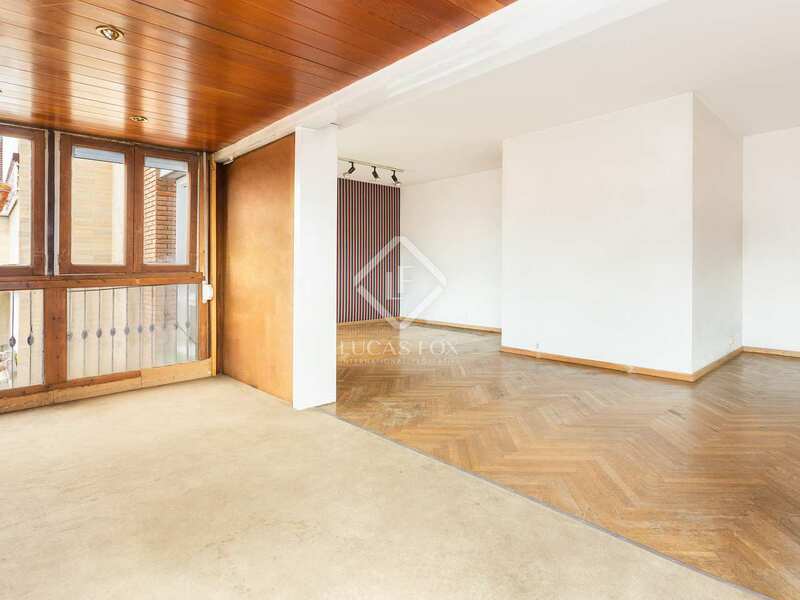 The living room features a large bay seating space and a fireplace and there is a library, a spacious dining room next to the kitchen with a utility area and pantry.The property is being sold with 2 parking spaces included in the price. 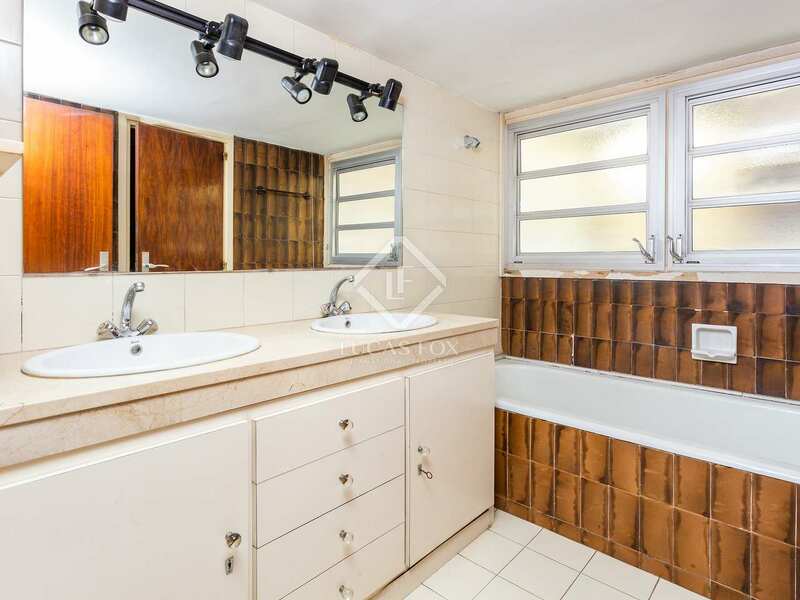 This is an excellent opportunity for anyone looking for a bright, spacious home to renovate in a peaceful area of the city. 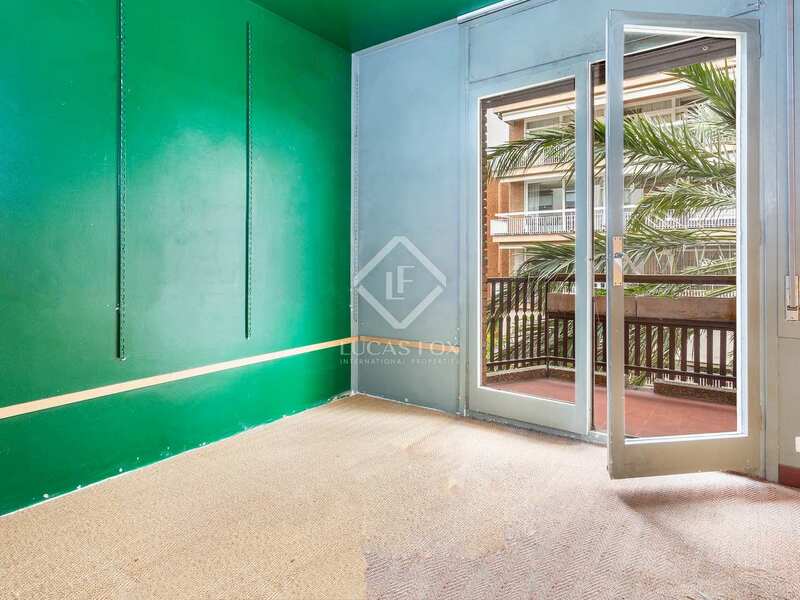 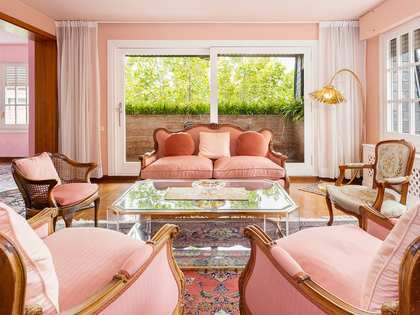 Apartment located on the peaceful Carrer Freixa, in the Tres Torres neighbourhood, a leafy residential area next to Via Augusta and Turó Park.